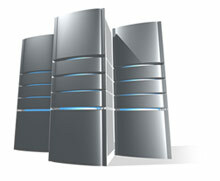 Aegis Networks delivers IT Services to Eastern Central Florida. As a Veteran Owned Small Bussiness, Aegis Networks mission is to provide customers with the best possible service at a competitive and fair rate. We are dedicated to building long term relationships through quality, service and support. We offer your business reliable IT solutions to fit your unique requirements. Aegis Networks is your full-service computer repair & IT services Company, specializing in SMB Network Service. We offer a full range of services including IT Consulting, Cloud Services, Managed Services, Service contracts, Computer Repair as well as many more IT outsourcing and staffing options. Whether you’re looking for onsite, or managed services, Aegis Networks is dependable, trustworthy, and always ready to assist with your IT needs. Contact us today for a free quotation no matter your computer or network need. Would you like to schedule service now? Click Here or call us at 321-951-7766 for more assistance. Thank you!